A large computer manufacturer is reported to be getting 20-30 per cent of its SSD flash memory-equipped computers returned due to technical failure and poor performance. According to IT research firm, Avian Securities, between 10-20 per cent of SSD returns are due to straightforward technical failure, far higher than the 1-2 per cent failure rate of standard hard drives. "There is an order of magnitude higher in failure rates," Avi Cohen, head of research at Avian Securities explained to CNET. The remainder of SSD returns are down to poor performance. While flash memory allows for quicker boot-up times and better battery performance, some applications such as video streaming and, oddly, Microsoft Outlook suffer a dip in performance. Although Avian Securities is reported to use the term “large computer manufacturer”, it is believed that the research company is referring to Dell Computers and its SSD supplier, Samsung. Indeed, since CNET posted the original story, spokespersons from both Dell and Samsung have both come to the defence of SSD memory. Troy Winslow from Intel said the challenge is to make SSD drives reliable. "The ability to manage those failures and ensure that no data ever gets lost, that’s the challenge. Reliability will be a key differentiation point among solid state drive vendors," he said. Meanwhile, Michael Yang from Samsung said that when failures do occur, they typically occur in the controller silicon, not in the flash device itself. In addition to the reportedly high failure rates and performance issues affecting SSD memory there is another factor which could inhibit growth of the technology more so than failure rates and performance issues, and that’s its high price. 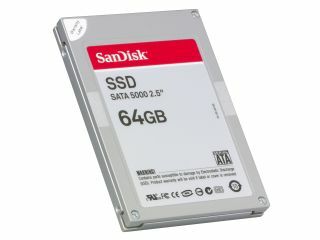 An SSD option on a standard HD configuration currently comes at a hefty price premium. Unless that begins to change soon, people may be increasingly put off. Despite its status as a relatively new technology there’s clearly still some way to go before SSD truly establishes itself.